The Fall Blues Crawl is Sunday September 30, 2018 from 5 – 8 pm with the After Party at the Brickyard 8 – 10 pm featuring IBC semi-finalists, Connie Hawkins & the BluesWreckers! $10 gets you into six venues PLUS the After Party! Wristbands available at all participating venues the day of the event. Danielle Nicole Band with special guests Keefer Madness at the Blues Ball on November 10 at The Crown Uptown Theatre. 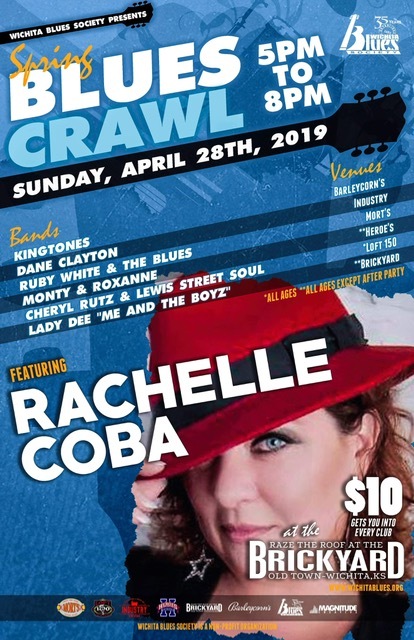 The Spring Blues Crawl is Sunday, April 28, 2019 from 5 – 8 pm with the After Party at the Brickyard 8 – 10 pm featuring Rachelle Coba! $10 gets you into six venues PLUS the After Party. Wristbands available at all participating venues the day of the event. 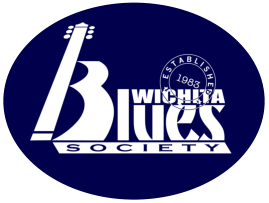 Wichita Blues Society is “PASSING THE TORCH” TO THE NEXT GENERATION OF BLUES FANS. Through our Blues In The Schools program, kids explore the history of blues and groove to live music. In one of our interactive presentations, groups learn the 12 bar blues progression and the I, IV, V chord changes using hula hoops! If you are interested in a WBS sponsored BITS presentation for your school, contact us today. More so than any other form of music, Blues relies heavily on a grass roots network of urban or regional blues societies for support. These nonprofit, all-volunteer organizations provide an important backbone to the Blues and occupy a vitally important spot in the pantheon of Blues music. We are blues fans that band together to support the music we love! 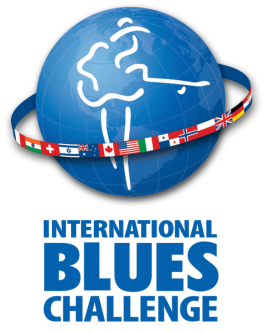 This year’s challenge is CANCELLED due to not receiving the minimum number of entries for bands or solo/duos. The event was scheduled for August 12.